Joe Osborne and Henry Weekes of Brazilian Wax, a radio show and Leeds-based club night, take us on a whistle-stop tour of the fascinating historical and political context of the Brazilian playlist they made for BristoLatino – listen on mix cloud now! As the innovator of Brazil’s most famous musical export, bossa nova, there was no doubt that João Gilberto was to be included in our selection. The bossa nova boom in Brazil was received enthusiastically in the U.S. (bossa nova fanatic Jackie Kennedy even paid for musicians to come to the States to play!) and sparked a huge amount of great Brazilian-influenced jazz from the likes of Dizzy Gillespie, Paul Desmond and, most famously, Stan Getz. Yet, while being an unquestionable star now, Gilberto’s career got off to a very shaky start. Getting kicked out of his band, Garotos da lua, for not showing up to rehearsals, Gilberto struggled to find any work for the next seven years. Experiencing a lengthy battle with depression during this time, he eventually moved in with his sister in Minas Gerais, spending whole days alone playing guitar locked in her bathroom (due to its superior acoustics). It was during this reclusive period of obsessive guitar playing that he refined his trademark technique that became the basis for bossa nova: while the thumb plays a bass part on the low E and A strings, the rest of the fingers work to play harmonically rich chords. This technique allowed Gilberto to accompany himself and achieve a beautifully tender and intimate sound. Known as a real perfectionist, Gilberto’s cat allegedly committed suicide one day, throwing itself out Gilberto’s tower block window having had enough of Gilberto’s ceaseless rehearsing and fine-tuning. While the cat didn’t survive, Gilberto’s sweet, gentle bossa nova will, no doubt, live on for years to come. We’ve selected the closing track, E Luxo Só, off his debut album, Chega De Saudade (1959) but we could have just as easily picked anything off the seminal, Getz/Gilberto (1963) or anything in between. 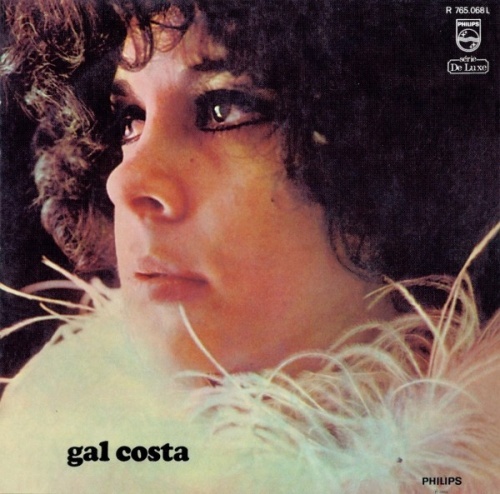 To begin to appreciate Gal Costa and many of her incredible contemporaries on this playlist, we need to start with a brief bit of history. In 1964, Brazilian military forces overthrew President Goulart – a left-wing radical with Communist allegiances – initiating a 21-year military regime. The phenomenally violent and censoring dictatorship that ensued saw opposing forces exiled, jailed and killed. The military removed constitutional rights and quashed all resistance. This was vehemently fought against in the late-sixties by a group of young avant-garde artists, writers and musicians. Their creative output is collated under the term Tropicália and the north-eastern city of Salvador in the state of Bahia was the home of its music. After the Bahian Gal Costa met fellow Tropicalistas, Gilberto Gil and Caetano Veloso, her career took off. Costa’s debut performance was at the inauguration of a Salvadorian theatre; the event, Nos por exemplo, was organised by Veloso and featured Gil, Veloso, Costa, Veloso’s sister Maria Bethânia and Tom Zé. All five went on to have huge success and played crucial roles in Tropicália. But for us, none of their records are as visceral and colourful and aggressive as Gal Costa’s two 1969 albums. The way her crisp, clear vocals cut through the choppy, fuzzy instrumentation on Se Você Pensa is just brilliant. But make sure you check out her other 1969 album for something totally off the wall. Seu Jorge represents everything that’s brilliant about modern Brazilian music, fusing popular western music, such as funk, soul and disco, with traditional styles from his native country. This juxtaposition is what makes Seu Jorge’s music so unique, with instruments such as cuícas and panderios lining up next to big brass and electrified rhythm sections. He’s had major success internationally, having received notable praise from David Bowie after Jorge covered his hits for Wes Anderson’s Life Aquatic with Steve Zissou. Jorge’s music is guaranteed to get anyone grooving, but his album Samba Esporte Fino (2001) shows the king of modern MPB (música popular brasileira) at his absolute best. Jorge Ben is best known for writing the iconic Brazilian anthem, Mas, Que Nada, but his influence within Brazilian music goes far beyond that. Present throughout many of Brazil’s musical periods, Jorge Ben’s songs are the most covered of any composer in Brazil’s history. Though exploring many genres throughout his career, Jorge Ben started learning his trade in a traditional fashion through Rio’s samba schools before moving into bossa nova, which culminated in his debut album, ‘Samba Esquema Nova’. His musical style would soon shift, taking influence from the Jovem Guarda movement, (a musical movement influenced primarily by American rock and British Invasion bands) leading him to take up the electric guitar. In a more rock-orientated style, Ben became the trailblazer of Samba Rock. He would go on to release several iconic albums within this genre, including his self-titled, Tropicália-infused album Jorge Ben (1969) and Africa-Brasil (1976), an homage to Brazil’s and Ben’s African heritage. It’s hard to state the importance of Jorge Ben, and to choose only one song of his is almost offensive – but we’ve tried. ‘Cadê Tereza’ mixes the traditional samba grooves with a large horn section and luscious strings and shows Jorge Ben at his best. Nara Leão has one of those totally ethereal and beautiful voices. She is considered the muse of bossa nova, but she’s so so much more. Her voice suits the intimate, harmonically-rich, soft nylon-string sound of bossa nova like nobody else. More than a muse, she was something of a trailblazer, inviting bossa nova players to her Rio flat where they would collaborate. She’s also a fantastic guitar player, being a role model to the likes of Joyce Moreno as a female instrumentalist. Her 1964 album, ‘Nara’; is phenomenally arranged and outrageously theatrical. But, here, with her guitar tutor and bossa nova contemporary, Roberto Menescal we think she’s at her sweetest. Besides bossa, she made forays into Tropicália, singing on the Tropicália manifesto album, Tropicália: Ou Panis et Circenses. She became hugely politically-active during the dictatorship, performing in Zé Keti’s protest musical, Opinião a song of the name name in which she sings: “They can take me prisoner, they can beat me/ They can even make me go without food/ And I won’t change my opinion”. Something of a dark horse, Leão is much more than the poster-girl of bossa nova; she’s phenomenally talented and her career is fascinatingly subversive. “What’s American pianist Chick Corea doing on a ‘Best of Brazil’ compilation! ?”, we hear you cry. You’re not wrong to be outraged. But joining Corea on vocals here is, most probably, the greatest Brazilian jazz vocalist of all time. An absolute favourite of mine, Flora Purim has stolen my heart in the last year or so. Her six-octave range allows for an unrivalled improvisatory style that permits her to perfectly accompany the jazz-fusion of Corea’s band, Return To Forever. Her syrupy vocals also feature on records by Dizzy Gillespie, Gil Evans, Stan Getz, the Grateful Dead, Jaco Pastorius, and those of her husband, Airto Moreira. But, for me, her solo albums – particularly, Butterfly Dreams (1973), Stories To Tell (1974) and Open Your Eyes, You Can Fly (1976) – eclipse all of her collaborative works by being so incredibly inventive. That is, all of her collaborative work aside from this album. Her vocals throughout Light As A Feather make totally bizarre melody lines sound like pop hooks with unbelievable dexterity. Metá Metá are a trio from Saõ Paulo whose musical objective is to make people rethink Brazilian music. Metá Metá translates to “three at the same time” in Yoruba – a West African dialect closely associated with the Candomblé religion. Both the language and the religion were brought over with the slave trade during the 19th Century, and serve as a huge influence on Metá Metá. Their 2014 album ‘MetaL MetaL’ is sung almost entirely in the Yoruba, with each song on the album named after a different Candomblé deity (or, orixa) – Orunmila is the orixa of wisdom, knowledge and divinity. Indeed, the wailing saxophone, rampant drumming and disorientating distortion feels otherworldly. After their recent gig at London’s Archspace, saxophonist Thiago França explained to us that each solo he plays is dedicated to the song’s eponymous orixa. 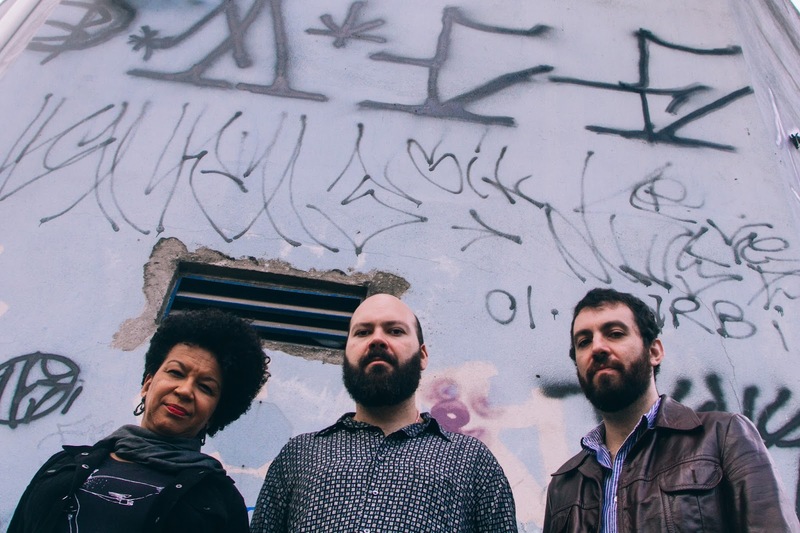 Their fresh approach to Brazilian music, drawing on underrepresented founts of Brazilian culture, always leaves us expecting the unexpected and wanting more. Caetano Veloso is considered the Bob Dylan of Brazil. Lyrically dense and often performing in a stripped-back setting, he can sometimes sound like pre-The-Band Dylan. But their similarities might end there; Veloso’s music is far more psychedelic. Coining the term Tropicália (the name of a 1967 song of his), and penning a good deal of compositions performed by Gal Costa, Gilberto Gil and, his sister, Maria Bethânia, Veloso is the king of the polychrome protest music, Tropicália. In fact, he and Gilberto Gil’s music was so transgressive that they were exiled for two years. They spent their exile in London, where the Brazilian pair hung out in Portobello with the likes of Pink Floyd, helped organise (and consequently performed at) the first proper Glastonbury Festival and recorded some of their most intimate and fascinating music. This is the first track off my favourite Veloso album which documents this incredible period of his life. Sergio Mendes was one of bossa nova’s first wave musicians, who ran off to the States with the girl of his dreams, becoming the man responsible for much of bossa’s cross-pollination with American culture. For this he is equally admired and reviled. He’s an equally contentious figure in the Brazilian Wax camp. We vowed never to play him on air during our first series but this tune – a version of an old samba written by Haroldo Lobo and Niltinho – has wormed its way into ears and our live sets in equal measure. It also closes our latest mix for global music platform, Música Macondo so we thought it was about time to give this carioca a bit of overdue adulation. Mendes started out as a classical pianist but soon became known for his jazz playing. He frequented the clubs around Rio, where his growing reputation as one of Brazil’s finest jazz musicians coincided with the emergence of bossa nova. He ended up being taken under the wing of Antônio Carlos Jobim, one of the main innovators and principal songwriter of the genre and Jobim helped Mendes establish a career in the States. Mendes’s debut album, Dance Moderno (1961), was a brilliantly formulated album, comprised of Brazilian and Jazz standards in equal measure, leading to him working alongside jazz heavyweight Cannonball Adderly. Unfortunately, struggling record sales led to labels demanding that Mendes’s group performed in English as well as Portuguese. Mendes reluctantly agreed and a change in personnel ensued, resulting in the group Brasil ’66. They would go on to achieve unprecedented success, with their first album Herb Albert Presents: Sérgio Mendes and Brasil ‘66 (1966) hitting 2nd spot in the US jazz charts. Unfortunately, from here on in, Mendes’s albums fell further under the influence of record labels, with a lot of decisions being made without his consultation. 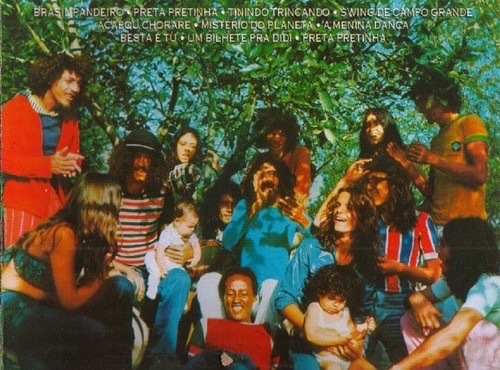 His output varied in quality after this period, but there are still examples, such as Tristeza on his 1968 album Look Around, which show Mendes at his unadulterated best. We were really struggling to keep the playlist down to ten songs so we’ve added five songs that are equally deserving of mention! To find out more about all of the music we chose, check out our Mixcloud and Facebook pages.